Health officers, clinical nurses and midwives are of crucial importance in the Ethiopian health care system. In addition to providing direct clinical cae to large numbers of patients, they are also involved with key public health initiatives, such as immunisation, nutrition, contraception and so on. 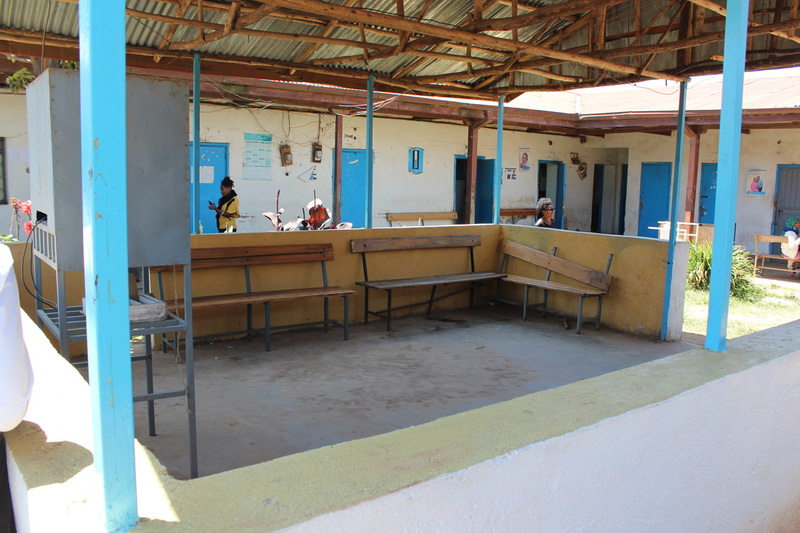 Many health centres have open areas such as this, where patients wait for appointments and meet each other. They also serve as an education area, when health officers, nurses and midwives present public health messages or topics such as health in pregnancy. The Primary care link project may use such facilities to set up regular staff education meetings, discussing instructive cases, debating practice and reflecting on experiences. Online access for the Health Centres will provide a potentially massive new resource for teaching and learning for staff.